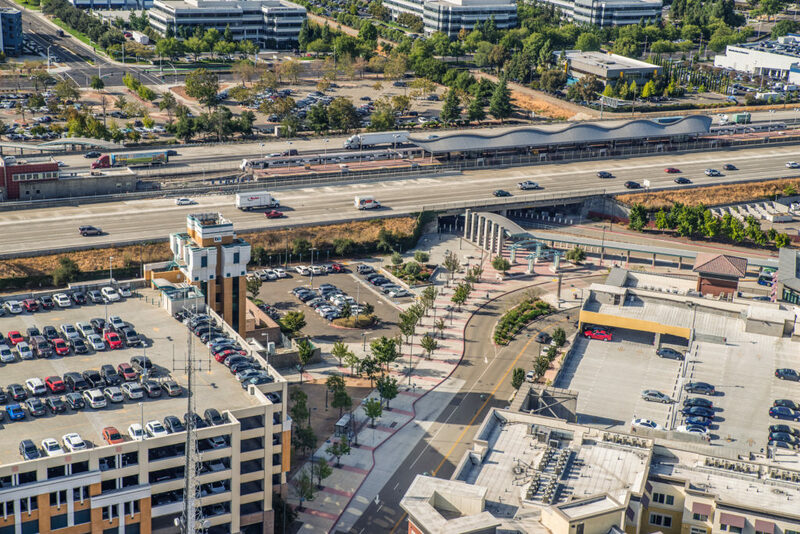 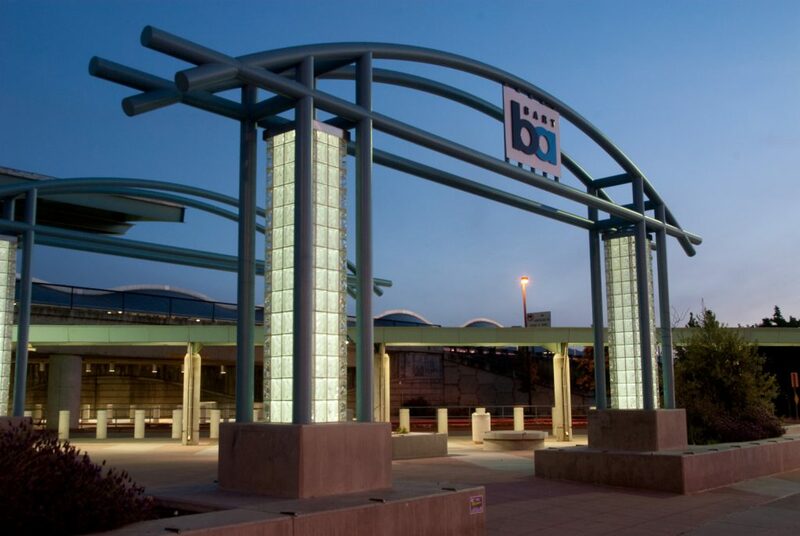 New development at the East Dublin BART station is part of continuing efforts to create transit villages that reduce auto travel by providing community services, retail and housing within walking distance of rapid transit. 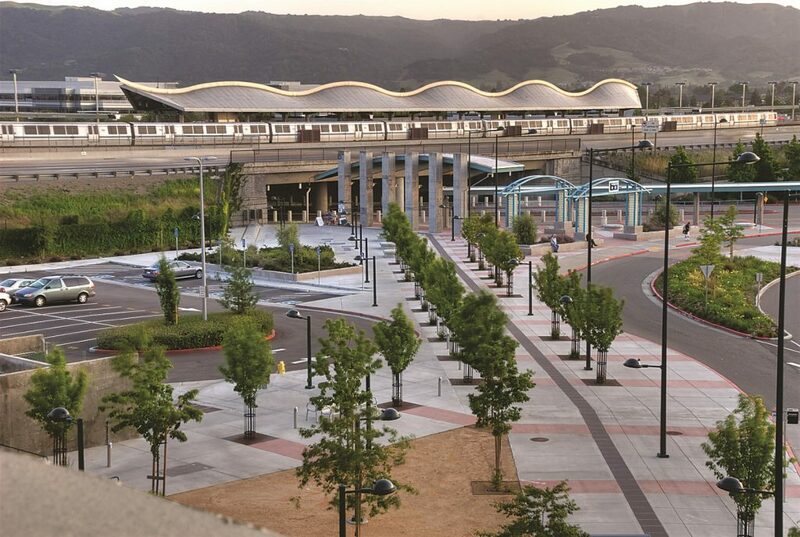 PGAdesign included pedestrian-scaled lighting and paving patterns in its landscape design for a plaza that links the station to village and parking garage. 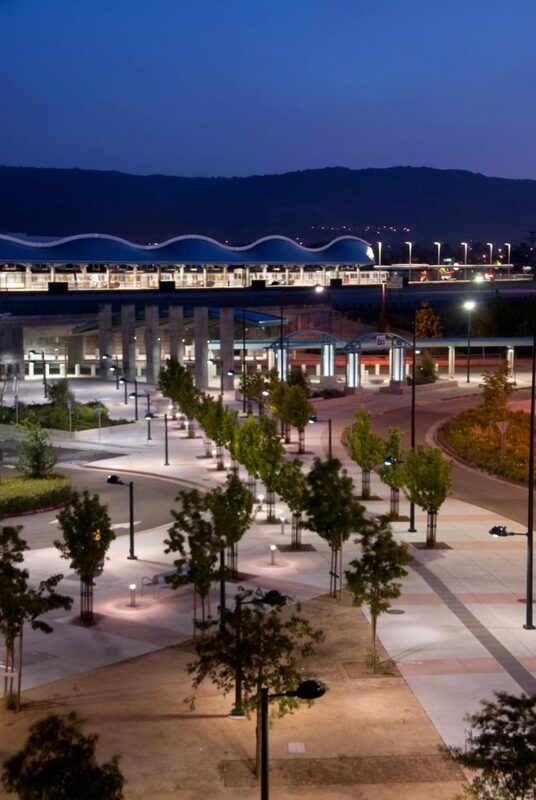 An arch framed by lighted glass-block columns serves as a pedestrian gateway to the station itself. 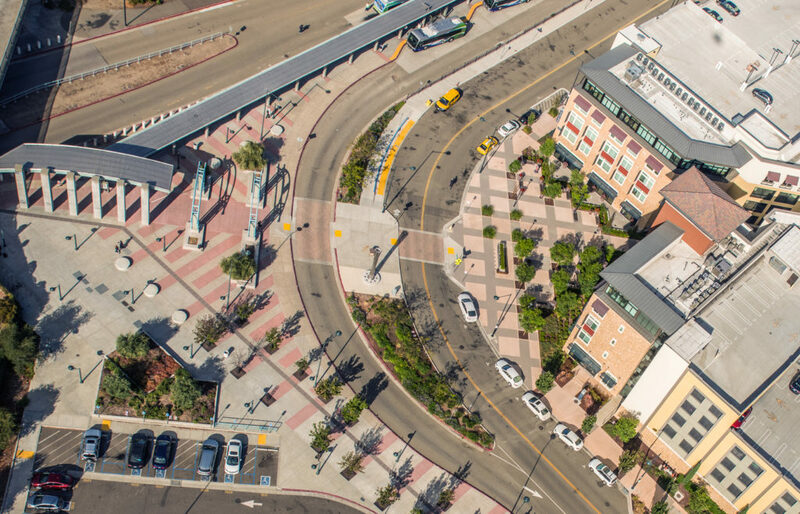 To ensure safety, sight lines were left open to allow for quick orientation consistent with Crime Prevention Through Environment Design.